Q. Can I use oil to moisturize my face? A. You can. I like olive oil. Wash your face then, pat it dry leaving it slightly moist. Massage on a few drops of olive oil. You may want to use a traditional moisturizer if you are going to apply foundation. The foundation will go on smoother over moisturizer. 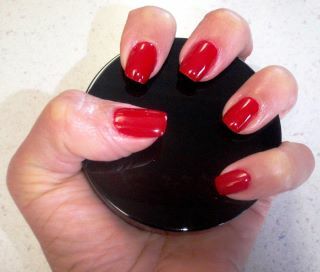 Women love their gel polish and gel nails. I know, it stays on great for weeks with no chipping. It has always been a concern that the UV light exposure could cause skin cancer. The companies that manufacture these products assure us that these UV light curing products are safe. Even many dermatologists say that the amount of exposure is low therefore, the risk of UV damage is low. Dermatologists seem more concerned with the damage that is caused to the nails in the soaking in acetone to remove the product. They say sunscreen should be applied before hands go under the light to protect the skin. Still, I don't recommend gel products. Well, I'm here to tell you, I know of someone who has cancer of the nail beds. It is in all 10 nail beds! She has been using gel products for 2 years. Her doctor told the cause of her cancer was due to the use of gel products. Sunscreen would not have helped her. The cancer is in the nail bed not on the skin on her hands. People it is not worth the risk! Just use regular old fashioned nail polish! Alpha Hydroxy Acids or AHAs are naturally derived acids that occur in foods. 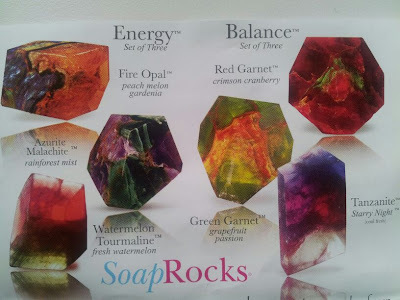 They are sometimes called fruit acids. These acids are used in skin care products to remove dead cells, improve the appearance of the skin and encourage firming of the skin by thickening the deep layers of the skin. AHAs are used to treat wrinkles, acne and acne scarring. AHAs cause a mild irritation and exfoliate the skin. They are used by dermatologists and estheticians in a high concentration as peels. A doctor can use an AHA peel with a concentration of 50%-70%. An esthetician can use an AHA peel with a concentration of 20%-30%. Glycolic peels are well known Alpha Hydroxy peels. Creams for consumer use are at a concentration of less than 10%. An anti aging AHA cream works best when it contains a concentration of 5%-8%. The products labels don't usually tell you the percentage of AHA in the product. Check the ingredient list. A cream is likely to have the right amount of AHAs in it if the AHA is the 2nd or 3rd ingredient on the ingredient list. Professional AHA peels are most beneficial when done in a series of peels every 3-6 months. The number of peels and the space in between them varies according to the product being used. For instance, a peel maybe done once a week for six consecutive weeks two times per year. The skin will likely be sensitive, inflamed and flaky after a peel but will heal and have a smoother appearance. When using an AHA cream at home, don't use it as a daily product. You will get the most benefit if you use it as a treatment 3-4 times a year. 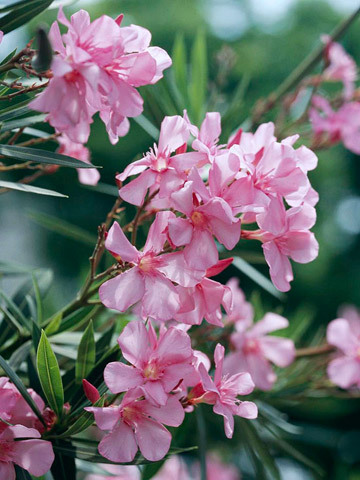 For instance, YonKa Fruitlia is used for a one month course 4 times a year to get the most benefit from the product. Use it one month per season, December, April, June and September. Then, go back to your regular skin care routine the other months. AHAs exfoliate the skin causing you to be more susceptible to sun damage. Be sure to use a sunscreen when using AHA products. ﻿﻿﻿Have a Beautiful Skin Day! My never ending quest to find the perfect eye cream continues. I find all eye creams add moisture but none of them do any miracles. 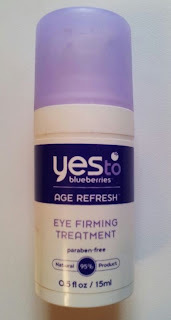 My latest is Yes to Blueberries Eye firming Treatment. I like the ingredients. It is loaded with blueberry which contains great free radical fighting anti oxidants including Vitamin C. It contains glycerin which is great for holding water to the skin. It also contains soothing oils and moisturizers sunflower seed oil, olive oil, coconut oil, jojoba oil (another favorite of mine! 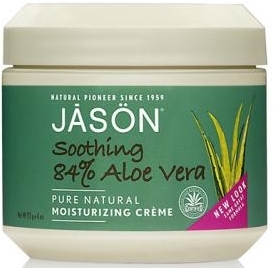 ), shea butter and Vitamin E.
My review: It is moisturizing nicely without feeling heavy. Some creams can be too rich for under the eyes and cause puffiness. This eye cream is not causing puffiness. Fine lines are softened but not gone. Is it firming? Maybe a little. It has a potent sweet smell to doesn't bother me but some people may object to it. Makeup goes on nicely over it. I like it and will use it for a while, until I get the urge to continue my quest to find the miracle cream. 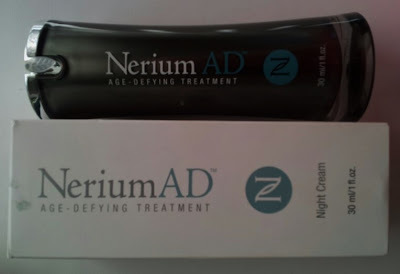 Find it for about $14.00 at drug and superstores and at Yes to Carrots.com. Q. I am getting married this spring. 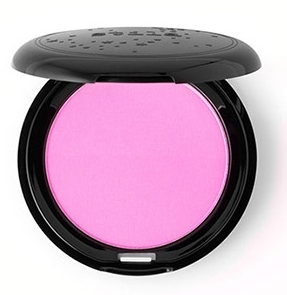 What color eye shadow is in for brides? without being overpowering. You want people to say that you look beautiful not that your eye shadow is a beautiful color!